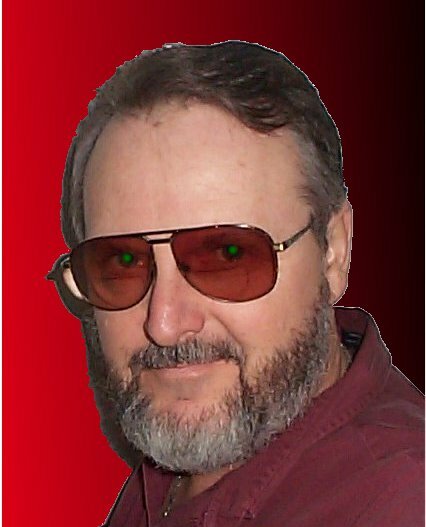 I’m an olde pharte Technogeek, Author, Photographer, Leathercrafter, Gearhead, SCAdian history freak, Cosplayer, and Graphics enthusiast. The header at the top of the page is part of a shoot I did in Stuart, Florida. I’ve gone by the handle Master Anthony Stevens from time to time, or just MAS. In Spanish, that is… MAS que los de mas, MAS de todo o’ MAS que nada. I’m a cat lover (seems to be a writer thing, eh?) and although I have traveled a great deal, I’m currently living in south Florida. Musical tastes run from Beethoven to Buffett and Willie Nelson to Jean Luc Ponty. My hobbies include attending SciFi, Fantasy and Fetish conventions, photograpy, cosplay, hot rods, and model railroads. Feel free in chatting me up about any of these pastimes. Over the years, I’ve lived in Florida, Mexico, Virginia, New Jersey, Indiana, Texas and California. Just read your December 17th posting, which is the most comprehensive and sensible one I’ve seen in a long time. I blog on a mystery list and would like to post a link to posting next Tuesday, though I have to check with my fellow posters to make sure no one else already has dibs on the e-book topic. Although I’ve written some scary books, I’m afraid I’m not the same fellow who has been in correspondence with Alice Cooper. I’ve found there are many of us around and thus the “master” in front of the domain name and email address. I can sympathize with your kitten issues. My loving cat of 19 years passed away recently and there’s still a gaping hole in the family. Warm hugs and bright blessings to you and yours as well. Oh! Fellow wordpress pal! I love using wordpress. In fact, I have four seperate websites that are wordpress, lolol. Yes, it seems writers are cat lovers. I have three who are constant companions, but one in particular, Radar, is my baby. He loves to perch on the back of my desk chair as I teach at AWH or sit here and edit or blog. I shouldn’t be here, but I’m just way too excited to concentrate! I was the guy in the Leather SteamPunk Tophat with the clock on it at Intervention. I was hoping you would be willing to send me the photograph you took of me. I am curious to how it came out. Its been a work in progress for quite a while, and im still no were near finished. … always somthing new to add. It’s fantastic, Laz – loved your outfit! Now I’m curious – Laz, leather top hat – coming over to Stan’s place, right now. Get a cuppa on! By the way, I blogged today. http://angelikadevlyn.wordpress.com/ Yes, mind boggling, isn’t it? Don’ t you just love the new WP subscriptions feature! Hi Anthony, I’ve just read Private Myths–one of the most helpful and important books I’ve ever read. I’m even putting it into immediate practice. Evolutionary Psychiatry is next, and then Archetypes. It will be a great end of summer and early fall. Thanks. I think you may have me confused with the other Anthony Stevens who creates some wonderful books on human psychology. He’s a recognized expert in the field, while I’m a science fiction, urban fantasy, and erotica author. I’m sure he’ll appreciate the kind words, though. Is there any way I can get a Book copy of Skyracos: the mining mess? Sorry for the delay. Skyracos is available on Amazon.